100% Hand Coded HTML Mark-up from your PSD designs, at the best prices! 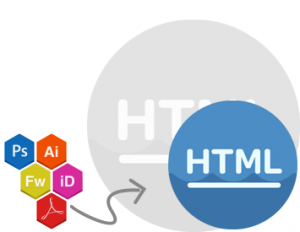 With a team of best front-end developers who are dedicated, determined and are nothing short of the best in the business, HTMLSliceMate offers you the best PSD to HTML Conversion solutions in the industry. Convert your PSD to HTML right now, Be it any design format get Crisp HTML from PSD, Sketch, Adobe XD, Illustrator (.ai), Indesign, Fireworks (.png), TIFF, GIF, JPEG or PDF. Be it any version of HTML or CSS, our developers are here to take it up from you and tackle it to your specifications and requirements to produce high quality code deliverables and we also make sure that its retina display ready. Our HTML/XHTML mark-ups are of superior quality, and are supported on an array of browers such as Chrome, FireFox, Internet explorer (Version eight and upwards), etc to offer a seamless user experience.